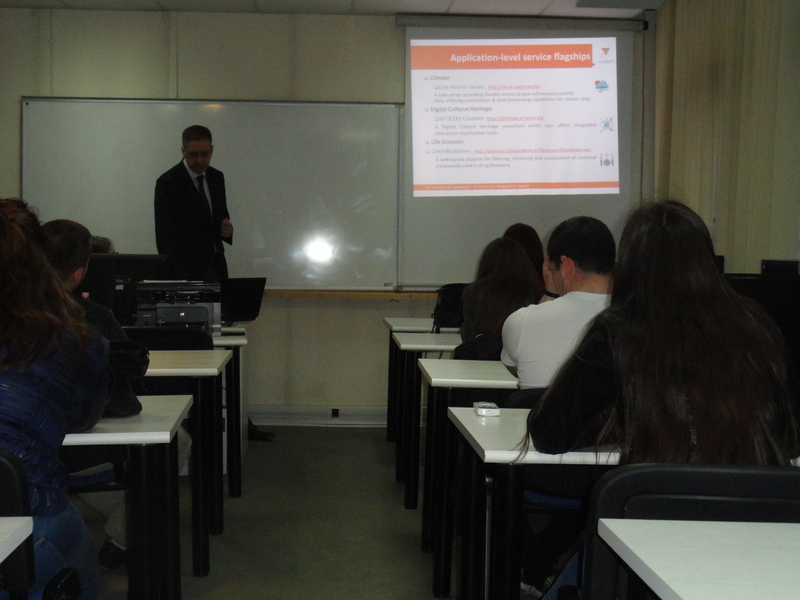 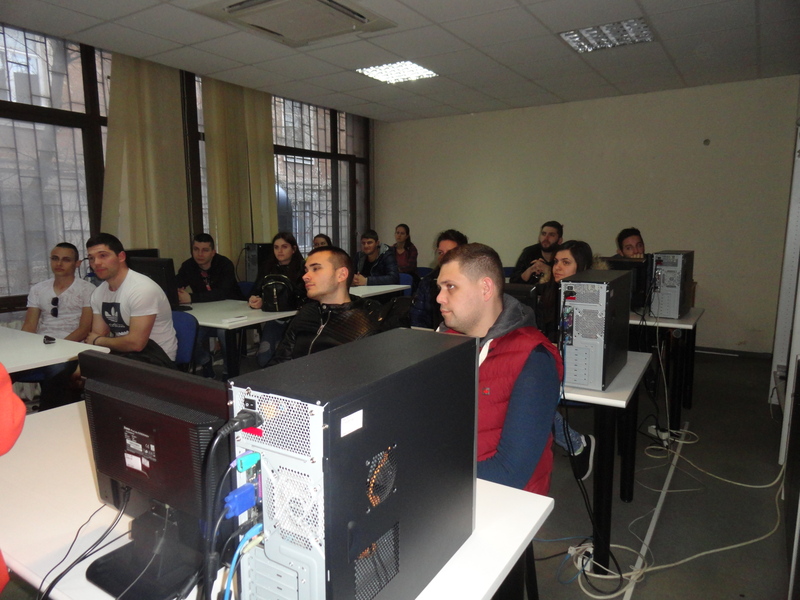 VI-SEEM presentation, dissemination of the project brochure, and short tour to the HPC center at IICT-BAS (www.hpc.acad.bg) were organized for students major from Department of Informatics at University of Food Technologies, Plovdiv. 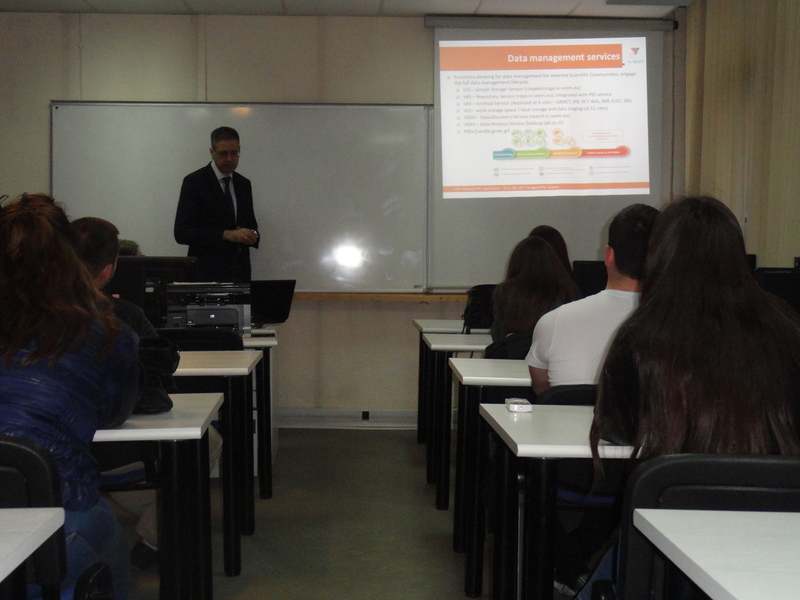 Success stories from the international collaboration of the center, including services and applications of the VI-SEEM project were also presented by Assoc. 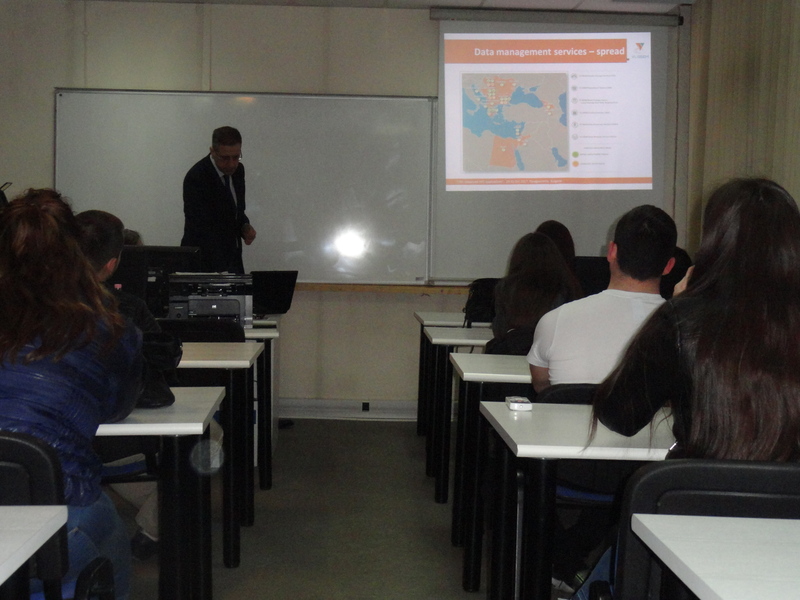 Prof. E. Atanassov.